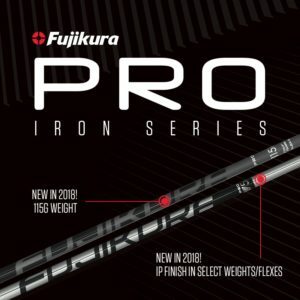 PRO Irons feature the industry-leading proprietary High-Density Composite Core (HDCC) which produces dialed-in swing weights at steel length. All PRO Irons come in 2i length “one length blanks” which will give a player the option to soft or hard step to reach in-between flexes. New for 2018, 115g weight option and IP finish option available in 75i (R2, R, flex) 95i (R, S flex).